Phuket International Airport is the second busiest airport in Thailand. Phuket International Airport (HKT), gateway to Phuket Island, a paradise for tourists in the southern part of Thailand. 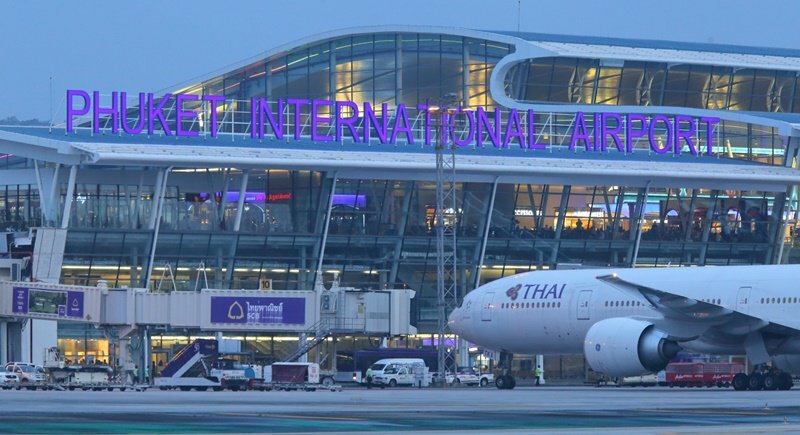 Phuket Island and nearby provinces are popular resort areas and Phuket International Airport welcomes a large number of passengers from all over the world and plays an important role in promoting travel and tourism in the southern region as well as throughout the kingdom. Phuket is one of the southern provinces of Thailand. It consists of the island of Phuket, the country's largest island, and another 32 smaller islands off its coast. It lies off the west coast of Thailand in the Andaman Sea. Phuket Island is connected by the Sarasin Bridge to Phang Nga Province to the north. The next nearest province is Krabi, to the east across Phang Nga Bay.